UPDATE 2 - All is well! Thanks to Microtic for the heads up. UPDATE - It seems there might be some issue with Facebook itself, in accurately listing current employees as 'former' workers. Definitely seems that's the case here. Nintendo fans are starting to get a bit worried about Charles Martinet's position at Nintendo. 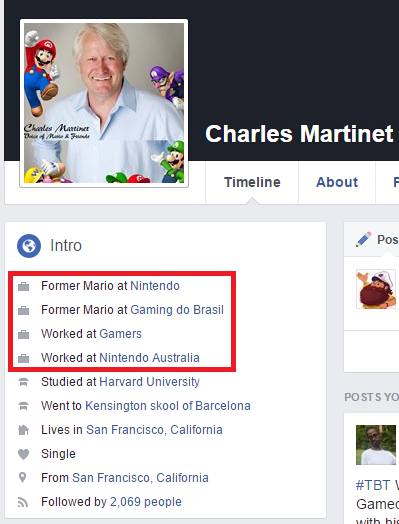 As you can see by his Facebook page, he's listed as the former voice of Mario. There's been no announcement from Mr. Martinet about his position, but his official Twitter page gives reason to believe all is well. Just to confirm, the Facebook page above is indeed Mr. Martinet's actual Facebook page. I'm thinking there's just a Facebook hiccup for now, but we'll reach out to Mr. Martinet to see if all is well. At least he is still Luigi, Wario, Waluigi & the babies. 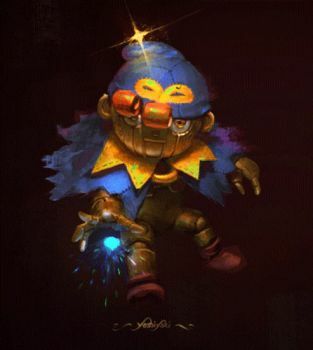 Looks to me like it says "Former Mario", not "Former voice of Mario". Also, what is with Nintendo Australia, Gaming Brazil and Gamers? 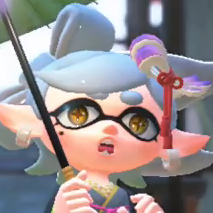 It must be the cushiest "voice acting" job in the world. It&apos;s not like he says a whole lot. If he has left, I could imagine both some good and hilarious alternatives. Everyone from my work (including me) is listed as &apos;Former&apos; or &apos;Worked At&apos; inaccurately. Facebook&apos;s got some kind of issue, and has had it for months now. Desktop Facebook has been giving me issues all day, so, I wouldn&apos;t be surprised for this. Reminds me of when people actually thought Bill left Nintendo when he tweeted about having no job before the E3 promo video went live. For a moment I thought it had to do with the VA&apos;s strike. Hold up a second. 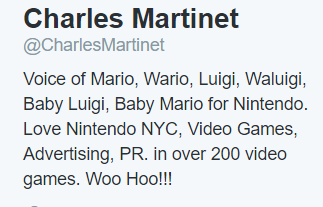 Charles Martinet went to Harvard!? Never would&apos;ve imagined. Why is his profile picture made out of two poorly-cropped, slightly-mismatched pieces of the same picture? Is that Facebook thing? There&apos;s more than likely plenty of stock voice work Nintendo has built up over the years with past Mario games to last them many many more years if he were to leave.